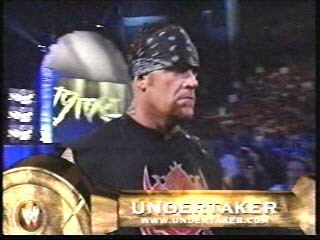 Undertaker enters the Ring - (2002). From "WWE Judgment Day" in May 19th, 2002. Wallpaper and background images in the Undertaker club tagged: undertaker wwe wwf big evil 2002 wrestling.